Mirza and Sahiba is another Punjabi folk tale about Mirza, the son of a Kharal Jat land baron and Sahiba, the daughter of the chief of Kheewa of Sial tribe. They grew up together and fell in love. When they grew up Mirza had to go back to his home town and meanwhile Sahiba was forced to marry someone else. She wrote a letter to Mirza to come save her. Mirza went despite of warnings from his family and carried her away during her mehndi ceremony. Sahiba’s brothers chased them and eventually caught up and fought Mirza, killing him with a sword. 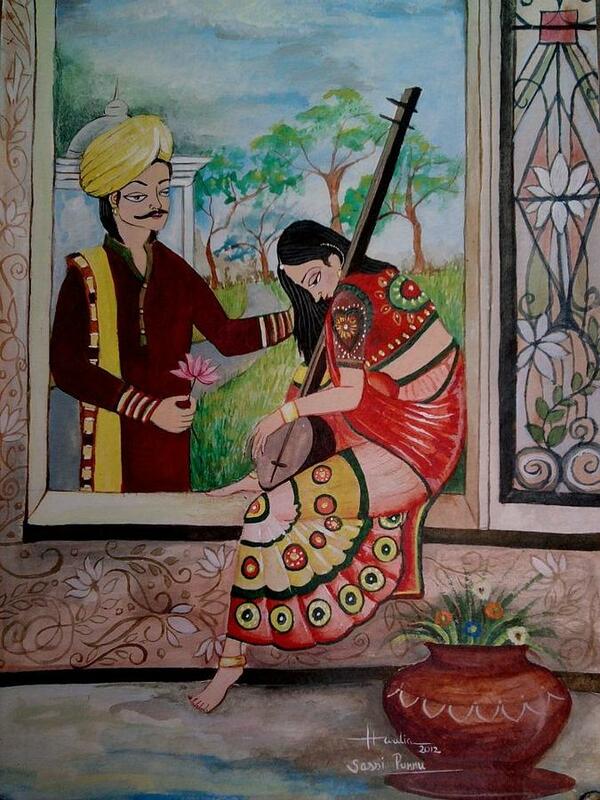 When Sahiba saw this she killed herself with Mirza’s sword and the lovers became immortalized in folk history. The story of Dhola and Maru comes from Rajasthan though there are versions from Chhattisgarh as well. The story is of a prince Dhola and a princess Maru who are married in childhood. But when the father of Dhola dies in battle there is no one to remind him of his marriage. He grows up forgetting about Maru and marries Malwani. A group of folk singers from Maru’s hometown of Poogal visit Narwar and remind Dhola of his first marriage. He remembers everything and faces many obstacles, from Malwani and Maru’s admirer Umar Sumar, to get back to Maru. In the end they are able to get back together and live happily every after. 0 Response to "Most 2 Indian Famous Love Stories -- Mirza and Sahiba & BajiRao and Mastani"